Spread holiday cheer throughout your home with these festive decor pieces like this white reindeer candle holders. 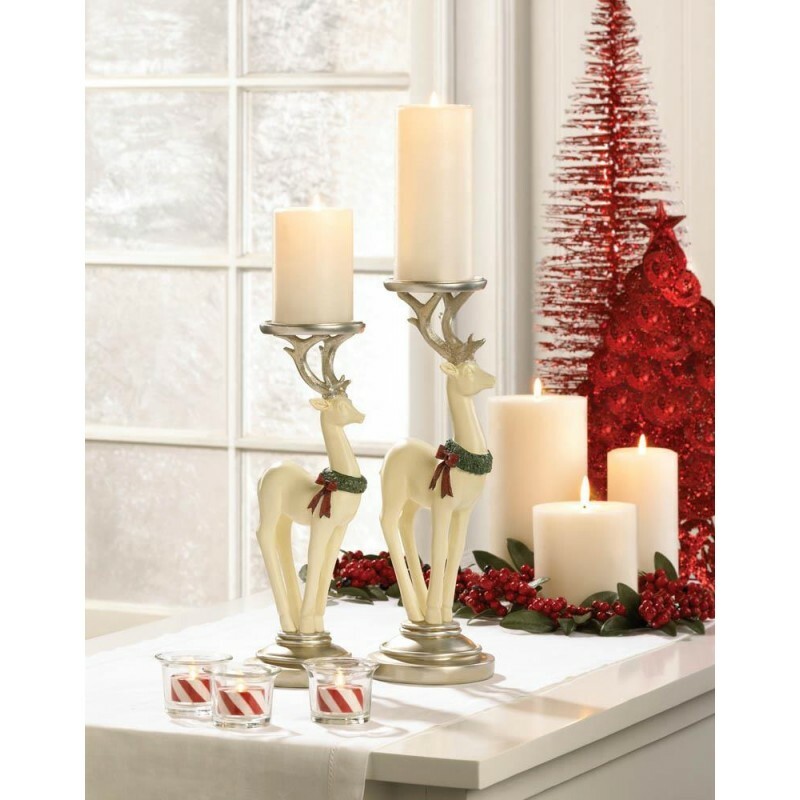 Classic and elegant, these reindeer candleholders will dress your home in Christmas spirit. The candle holders are perfectly sized to fit on top of your mantel or dining table. 5" x 4.25" x 13.2" and 5" x 4" x 12"